78477-9599 - 61 Canopy Assembly With Bag. 78477-9359 - Large Parts Bag. 23 78477-2289 - Channel Cover. 0801-0224 - 8 X 1inch Screw. 53 H4433-9569 - Hoodlatch. Bbb - White. 78477-0920 - Use And Care Manual. 22 78477-2069 - Brushguard Spacer. 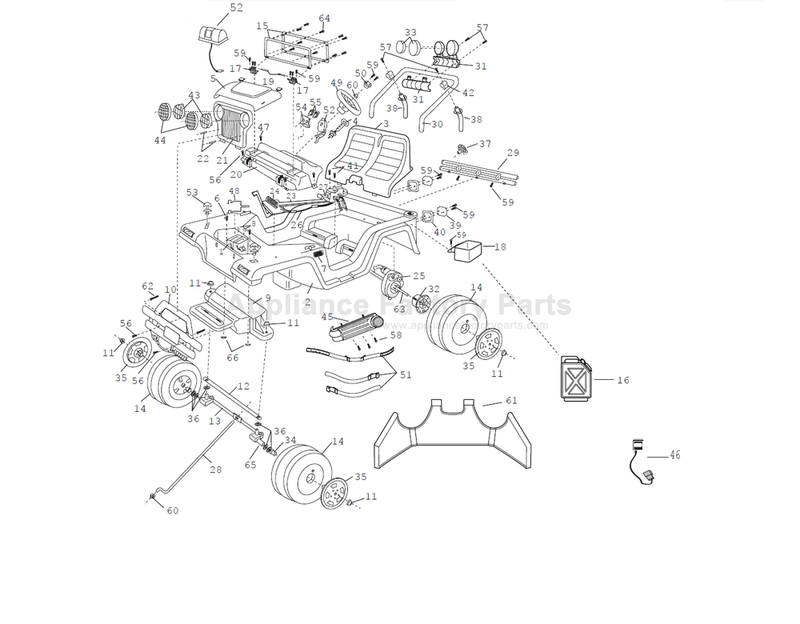 31 78477-9199 - Kc Light Rack - Assembly. 42 78477-2179 - Sport Bar Bracket Set. 78477-0310 - Label Main Sheet.